Product #6296 | SKU CLKV351 | 0.0 (no ratings yet) Thanks for your rating! The Chameleon VGA \ Component to HDMI converter allows PC users to display their image content not only on their PC monitor but also on their HD television by converting VGA input into HDMI. 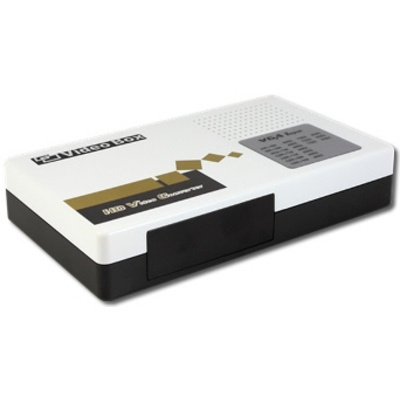 This unit includes 2 channel LPCM audio support and is HDMI 1.3 compliant. Stereo phono audio input is processed along with the VGA input to give you a perfectly synchronised HDMI output. True scaler function, output is fixed at 720p to avoid compatibility problems.